My friend Dola did a blog-post about the questions her children ask. Its ditto at our place, just different topics. We saw Michael Jackson’s first moon walk and talked about how he died. Discussion on Mr. Bean’s fridge fitting into a hot air balloon, ridiculous or possible? And finally with Zoya still asking for YouTube videos of how to make a lantern and float it and why we have not had successful kite flying for a long time… we all fell asleep. So yeah… Questions. They abound. Sometimes the answers are easy, sometimes we google, sometimes we just have to trust that we do not know the answer but one exists somewhere. 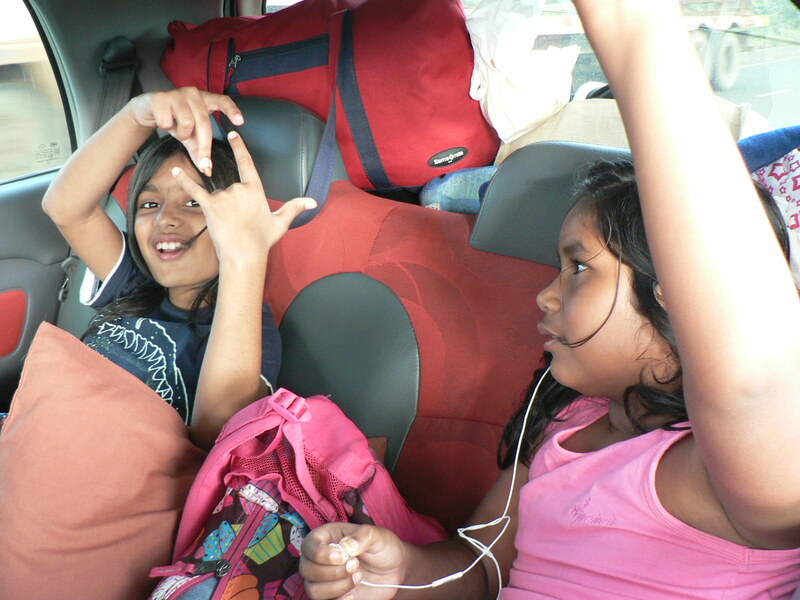 We traveled to Dharwad by car a couple of weeks ago. 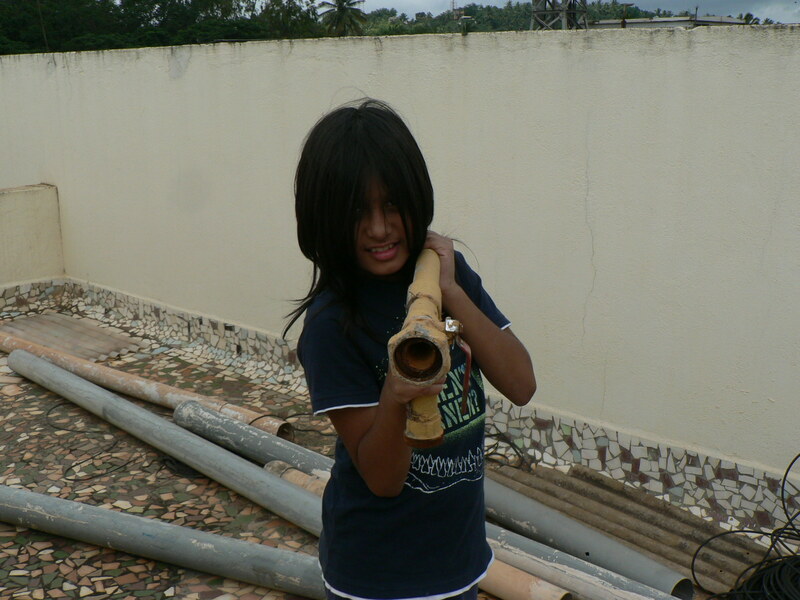 Raghu created bazookas and other things out of the old pipes Dad had uprooted during a plumbing clean-up of his building. 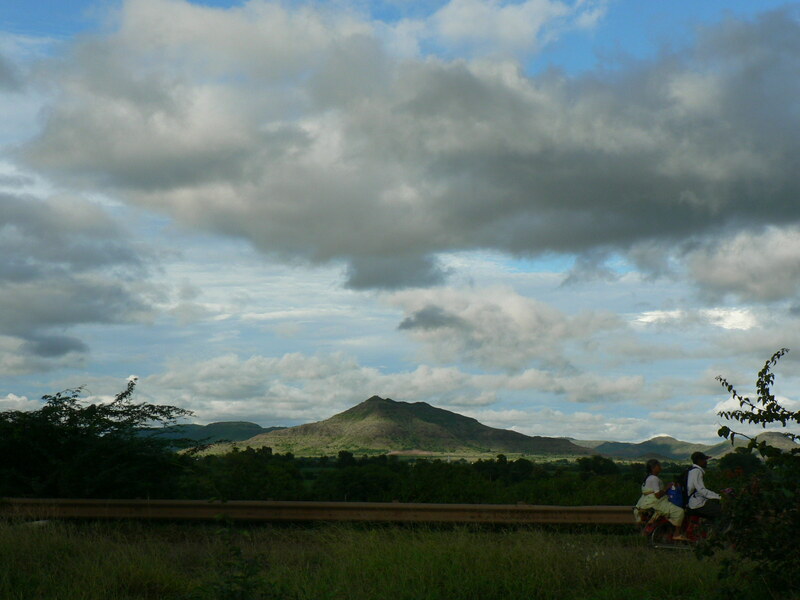 We ate Uttappas and dosas and idlis every day and loved it… strangely. 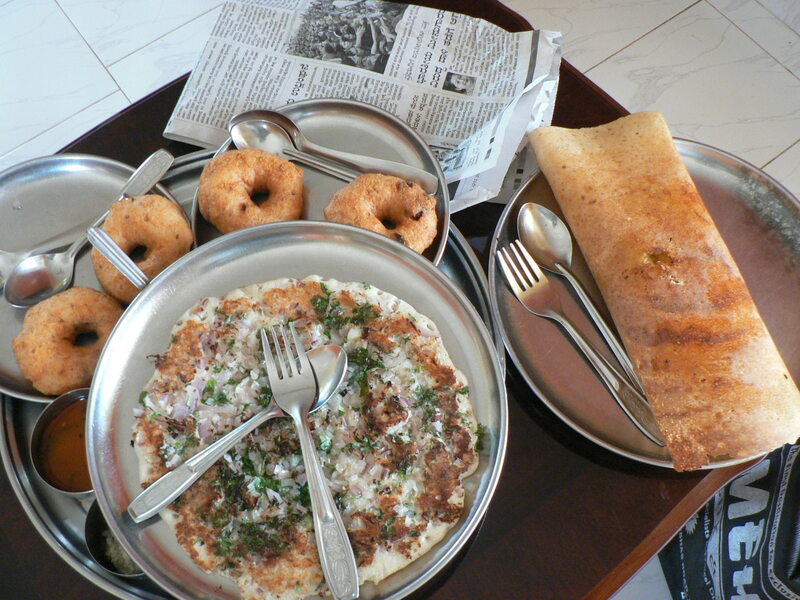 The kids actually say the uttappas in Dharwad are better tasting than mine… hmm. We loved exploring our new Apple Toys and listened to music and the rain and each other. We rarely stepped out of home. Dharwad is beautiful, especially in the rains. Dad’s large terraces on different levels got the kids excited. They collected things and snacks and jackets and made a parallel home up on the highest terrace. 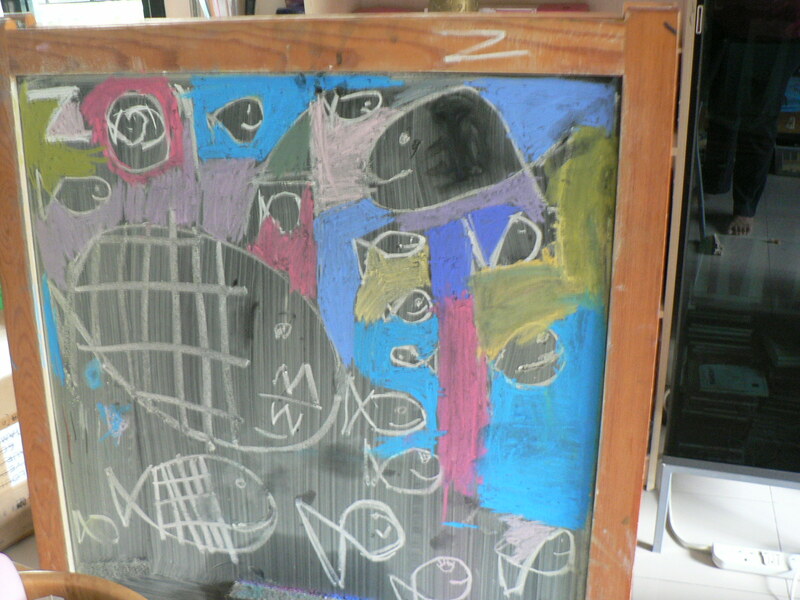 Zoya has drawn a beautiful mosaic like image on the black board. Ravi found her listening to ABBA while huddled on top of an old IKEA stool balanced on top of a chair in front of the black board. She seemed to be very comfortable! 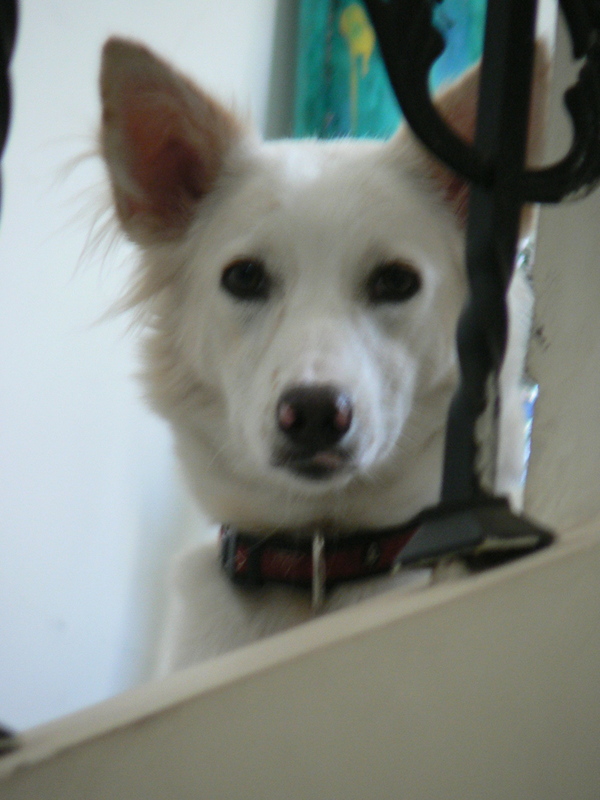 Snowy, my lovely baby is absolutely beautiful. 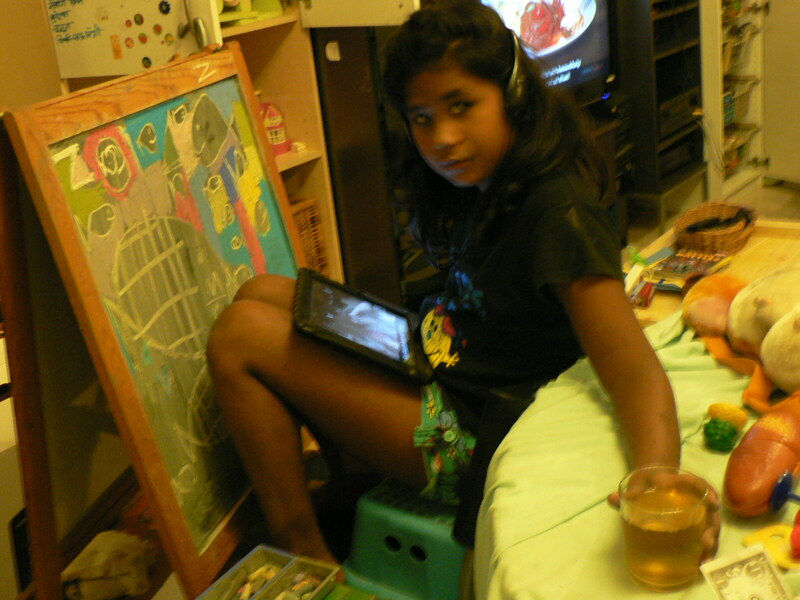 Here she stares at me, nervous of my camera! 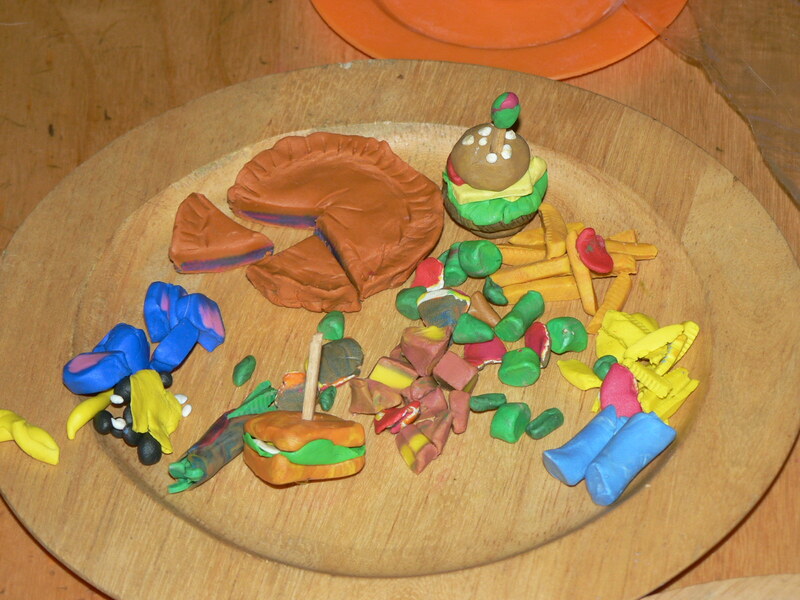 All that lovely plasticine looks like chopped up bits of delicious looking colorful skittles (I miss skittles!!) The things we built have been slowly cut up and cooked, pared, and even dunked in water (just to see what would happen). 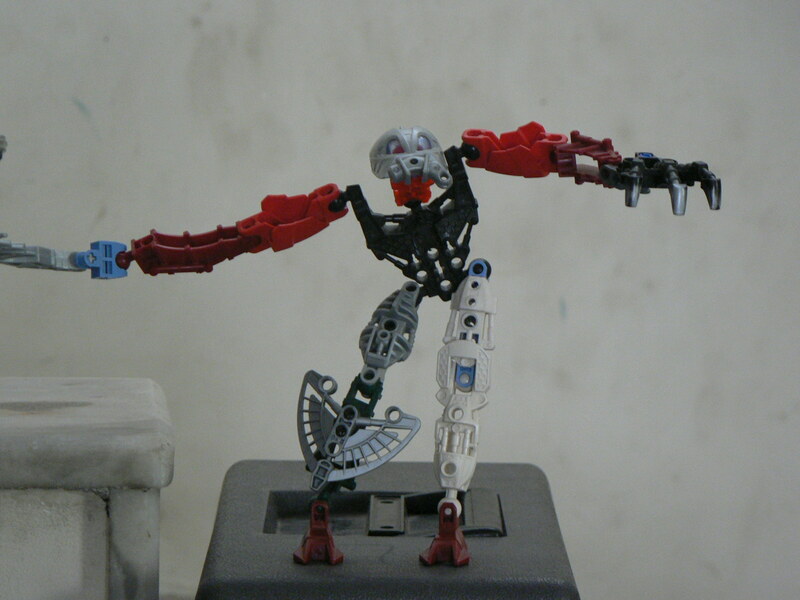 Raghu’s elegant Bionicle man seemed to be dancing and beckoning to me. I love how Raghu fearlessly mixes up all his toys and creates new forms. There are many videos in this category and she watches them regularly. Well she wants the kit and i’m not able to source it locally. It struck me that i could get her plasticine. Something that resembles the stuff in the video. The last time i got plasticine the kids mixed everything up and it was a ball of gunk… so I have stayed with home made playdough ever since. And the kids have never complained. They love our home-made colorful playdough. But recently i noticed that this did not meet Zoya’s increasingly exacting standards. And she wanted details and the satisfaction of creating art that playdough was not giving her. Anyway… today we went to an art store and got loads of plasticine. And we were in heaven. Kids and I created hamburgers, chillies, a stuffed blue-berry pie, sandwiches. And Raghu, uncharacteristically, played with us!! He even made an olive on a toothpick that i was frankly amazed by. 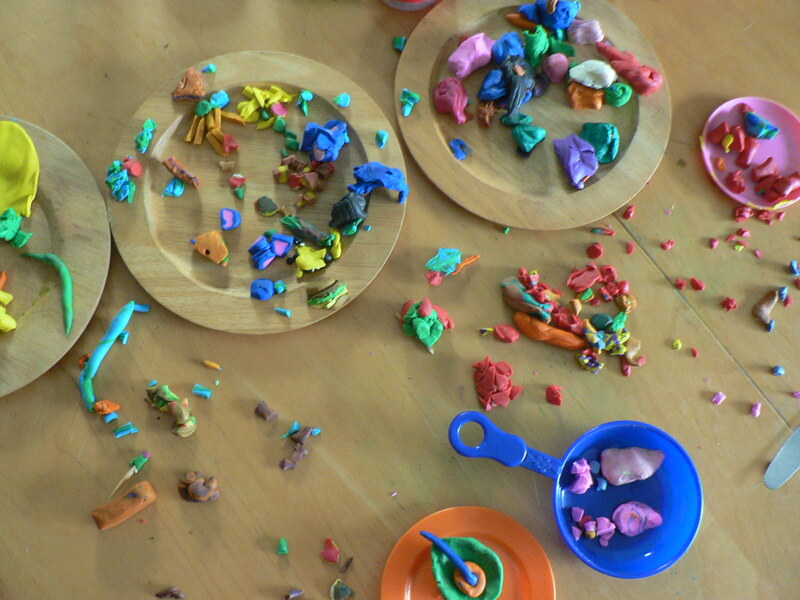 We all love this smelly plasticine and are looking fwd to making more things tomorrow. I love finding ways to meet my children’s needs. I’m also loving accepting all the times i can’t meet a need head on. To be able to stay centered and helpful thru both types of situations is very important to me.